Registration is enabled through Thursday, April 30. Please log in as a member so that your account information can be used during registration. Registration is enabled through Thursday, April 30. Registration is enabled through Thursday, April 30. Please log in as a member so that your account information can be used during registration. Contact us if you believe you should be eligible for this rate, but you cannot select it. Jeff makes use of over 20 years of product design and development experience to help companies create great products. 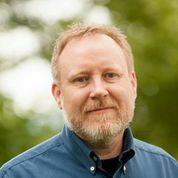 Jeff is author of the bestselling O’Reilly book User Story Mapping which describes a simple holistic approach to using stories in Agile development without losing sight of the big picture. A story map is a simple way to visualize a product idea from a user experience perspective. Mapping your product's story uses the same approach script writers use to think through a movie or TV story idea. It's fast, collaborative, and telling your product's story helps you spot the holes in your thinking. Once created, a map lets you think through options and alternative ideas that'll make your product better. It's easy to slice out what you think is a smallest viable product, and to identify the next experiment that'll help you validate your product concept. In this three hour workshop, you'll learn story mapping by building a simple map collaboratively with others. You'll learn how to use story maps to make sense of how users and customers do things today, and how they might do things better with your product. You'll learn how to use story maps to drive Lean Startup style experimentation, as well as heads-down Agile software development. For UX practitioners specifically, we'll talk about your role as designer and facilitator to help your organization engage in effective product design. We'll sum up what we've learned, then take a 15 minute coffee break. You'll need it.